Roku has been in the news several times recently, releasing a new line of set-top boxes as well partnering up with more manufacturers of smart TVs, most recently Hitachi. But the platform is about more than just video. There's also the audio experience. One of the hot music apps these days is iHeartRadio, which pulls in a plethora of stations and genres for even the most eclectic tastes out there. Now the service is improving its features with a line of new options. Version 2.0 of the streaming app brings personalized recommendations, a genre picker, and My Favorites Radio. In addition, there's a refreshed look to the interface and a full-screen player that brings "a brand-new home screen with all of the artists you love and the best music iHeartRadio has to offer. Plus, the sleeker, more streamlined design will make using the iHeartRadio channel easier and more enjoyable than ever before". 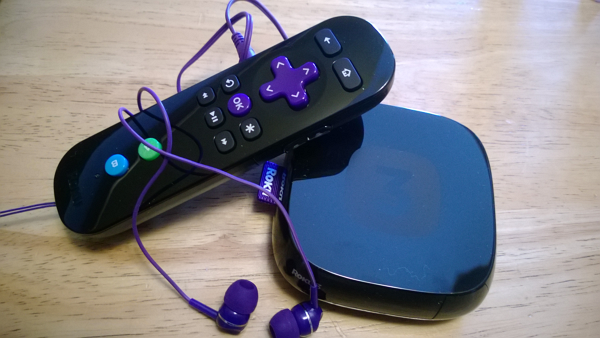 The company also reminds its customers that even on the go they can get to music, including when Roku is out of reach. The service is available on more than 90 different platforms, including mobile, wearables, PCs, home entertainment, and more. The update should be rolling out to consumers right now so you can begin keeping an eye out for it.